From seasoned veterans to some of our newest jazz artists, the coming week, like the last one, gives us a sense of jazz history and jazz ahead. Jazz (and related music) in the past week covered generations and styles, all vibrant and timely. • Zeitgeist at Studio Z (3/5). I caught the third night of Zeitgeist’s “Unveiled,” a wide-ranging concert of new works, including world and local premieres. With a core of percussion, piano and reeds, Zeitgeist better fits “experimental modern music” than “jazz” or “classical,” and really, who cares? From a percussion duet to ensemble with vibes, marimba, strings and percussion and other configurations, from a tinkling mallet lullabye (“Windchimes”) to the theatrical, music-supported reading of “The Last of James Fenimore Cooper” (by a real Mohican), this was a modern music lovers’ playground. • Minnesota Youth Jazz Band at Famous Dave’s (3/6). Band director David Mitchell has a knack for drawing the best from his high school all-stars. This big band ensemble gave us Charlie Parker and Charles Mingus, Gordin Goodwin and more, with outstanding solos and playful arrangements. And they are heading to Europe in July. • Patti Austin at the Dakota (3/9). Part Ella Fitzgerald and part Kathy Griffin? An unlikely combination but Patti Austin, even at 70, still has incredible jazz chops and (to me) a surprising affinity for stand-up comedy. We got plenty of both, from her saucy, sultry scatting and wistful balladry to her hysterical monologue on marriage.
. Simone at the Dakota (3/10). She covered soul, R&B and jazz styles but it's definitely her own style, not mama Nina's. She honored a bevy of muses from (of course) Nina to Oscar Brown to Eva Cassiday, and her take on Eva's "Autumn Leaves" surpasses any version I've heard to date. 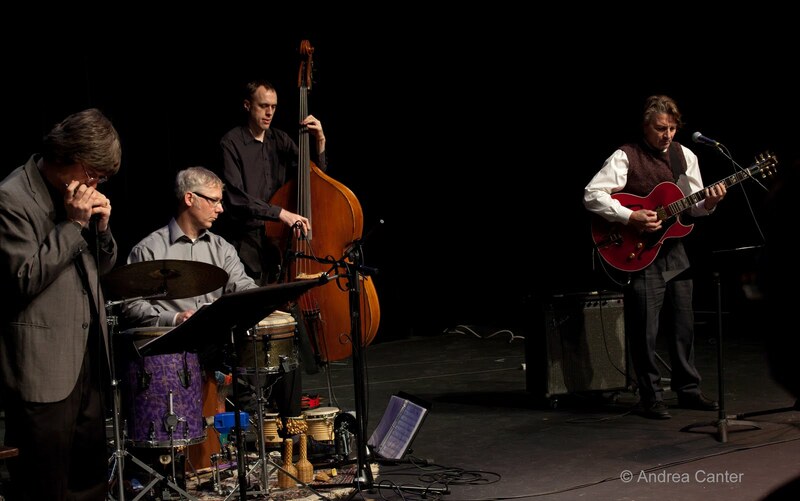 Saturday night (3/12) brings some explosive music to town: Guitarist extraordinaire Mike Stern guest stars with the JazzMN Orchestra at the Hopkins High School Performing Arts Center (one of the area’s best venues for big band jazz!). A six-time Grammy nominee, the jazz-fusion giant cuts his teeth with Blood, Sweat and Tears, and then with the Miles Davis and Jaco Pastorius bands of the 1980s. Steps Ahead, David Sanborn, and Michael Brecker collaborations followed, and now he is among the elite of Downbeat Magazine’s all-time Top 75 Jazz Guitarists. The gig also features our own answer to Patti Austin, the fabulous Debbie Duncan, as well as the finest collection of jazz artists in the Midwest, the JazzMN Orchestra. If a smaller ensemble has more appeal yet you are still seeking out some great guitar, East Side is the answer to your quest, Saturday night at the Aster Café, a perfect setting for some old world –influenced, modern tinged music. With Reynold Philipsek on guitar, Clint Hoover on harmonica, Matt Senjem on bass and Michael Bissonnette on all sorts of percussion, East Side offers original, accessible, intriguing music. Fortunately, both East Side and JazzMN should be over before Late Night at the Dakota gets underway, and this Saturday night brings the welcome return of the Colorado-based Aakash Mittal Quartet. 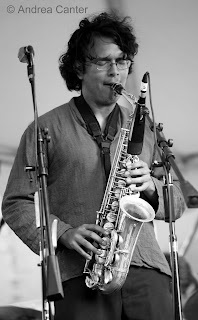 Mittal is a young saxophonist who has effectively melded his East Indian heritage and post bop inclinations into a sound that suggests Rudresh Mahanthappa, John Coltrane, Joe Lovano, Charles Lloyd and…. Aakash Mittal… raga meets renegade. His quartet (guitar, bass and drums) forms a cohesive unit equally capable of creating a near-sacred incantation or delightful cacophony. Mittal debuted locally at the Dakota two years ago and returned for the Twin Cities Jazz Festival last summer. He likes it here. Sunday evening (3/13) at the Dakota marks a rare appearance of Moore By Four. With each of the vocalists immersed in solo careers, it’s not often that we can see Dennis Spears, Yolande Bruce, Ginger Commodore and Connie Evingson on the same stage. More energy than Manhattan Transfer and every bit as swinging, MB4 is the quintessential vocal quartet. Despite budget woes and arts cutbacks, the Minneapolis Public Schools has nevertheless managed to hold on to some of the area’s finest music educators and student artists, and two events this week offer proof: On Monday night (3/14), the Achieve Minneapolis/Minneapolis Schools present the annual Viva City showcase of student talent, this time focused on jazz, on the Ted Mann Concert Hall Stage. This is a free event, with a variety of school music and dance ensembles, hosted by T. Mychal Rambo. Washburn High School alum Charmin Michelle joins her school band. On Thursday night (3/17), Minneapolis South (and Manhattan School of Music) grad Miguel Hurtado brings a band of “friends” to prime time at the Artists Quarter. 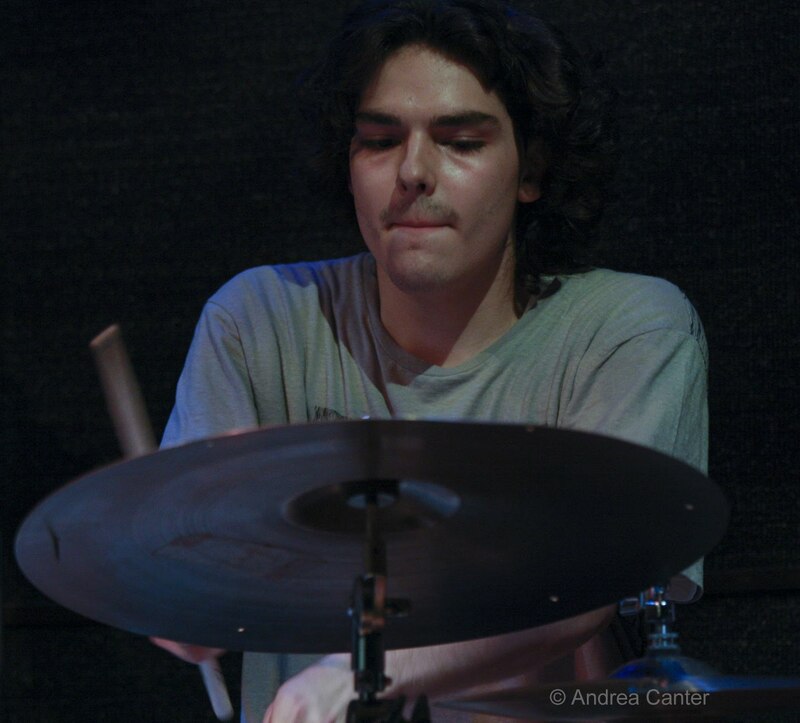 The drummer first came to attention locally with teen band The Eggz while still in middle school, and has since been heard around town with Javier Santiago, Chris Smith, John Raymond and more. Now he’s back in town and building his own career, and this gig at the AQ is a good place to start, and particularly with a line up that includes guitarist Zacc Harris, bassist Jeremy Boettcher and rising star pianist Joe Strachan. Always a popular act, vocalist/entertainer Christine Rosholt brings her always-stellar band to the Dakota Monday night (3/14), this time with special guest, guitarist Randy Napoleon, who of late has been touring with the great Freddy Cole. And it’s double bass night at the Dakota on Tuesday (3/15) as two of the giants of electric bass offer back-to-back sets: Stanley Clarke, most recently seen here as an acoustic bass virtuoso with Chick Corea and Hiromi, reminds us that it is the electric ax that brought him international acclaim (Return to Forever). Counterpart Victor Wooten rose to star status with Bela Fleck and the Flecktones. This is a rare opportunity to hear both Clarke and Wooten on the same stage, same night. Just a reminder, I am listing some recommendations but a more complete local jazz calendar is available on Pamela’s blog!